ClubFR came up with a truly great event, which promises to be the continent’s most beloved annual drift spectacle. Teams from coast to coast, north to south, gathered in a small town in rural Wisconsin. 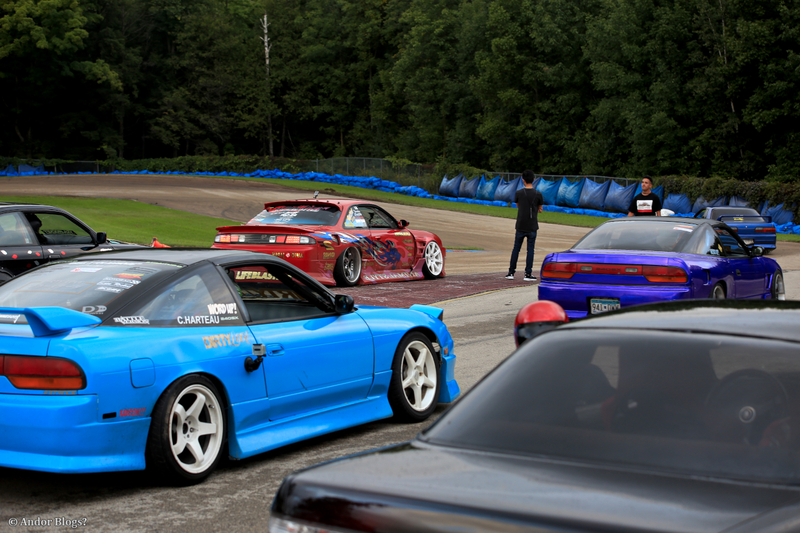 Unlike most drift events, this was a battle of teams, as opposed to individual drivers. The stage was set at My favorite track, USA International Raceway, known to most as UsaIR. A hilly, winding cart track located just outside of the town of Shawano. To those of us from the midwest drifting comunity, this place is also called the rollercoaster of love. Now, the love has been shared with a selection of crews from far beyond our region. I hope they all enjoyed it and come back for more next year! Never have I seen enough people to be called a crowd of spectators at this track, until now. They certainly got to see what they came for. Two days of tire shredding, wall riding and relentless attempts to get right up on the door of each other, the drivers in attendance left nothing on the table. The judges for the event were three heavy hitters, though one is more a regional legend, they were a good choice of respectable drifters. They narrowed down the field to four teams and after another run from each, made the verdict. Fourth place was taken by ShaDynasty, a crew from Washington State. In My opinion, the cars driven by these guys were the most interesting collection there. Third place was handed to regional heavy weights, Risky Devil, from Chicago. Second place went to the Hot Boyz, hailing from Alberta, Canada. They were outshining just about everyone on the first day, but a concrete barrier decided to intervene and change things up. The winners of the first annual Final Bout, team drift battle? High Fade, also from the Chicago area. They were very consistent all weekend. It looked to Me like they had been practicing team driving more than anyone else. Before launching for each run, the lead car would rev it’s engine twice and wait. The last car in line would then rev it’s engine once, signalling everyone was ready and off they went. Most of the crews ended up spreading out during their runs, but High Fade stayed together every time. Some may argue otherwise, but these guys earned the win for sure! I was not on the media roster for this event, so this is not a complete coverage kind of post. In fact I spent half of the weekend working the entry gate, so I did miss an awful lot of the action. However, for Me, there is no such thing as going on a road trip and not taking a ton of pictures. Happily, the ClubFR family are friends of mine, so they thanked Me for helping out and let Me go do My photo geek thing for a while. Phill, Maggie, Simba, Ilia and the rest of the crew, thanks a bunch for coming up with the idea for this event and making it into reality! I had a great time and I’ll see You when I see You, hopefully that will be soon. Another fine day in Chicago. AutoMass is a car show and drift event with a side of food trucks. It makes for quite an enjoyable gathering, which is no suprise considering ClubFR and Touge Factory are the organizers. I’ve been to many of the ClubFR drift events and have always had a great time. So, a perfect opportunity to test out My new Sigma 70-200 f/2.8 OS. It’s so nice to be able to get a reasonably close in shot of something that is more than 25 feet away. The spotty cloud cover was hard to work with, but here is a taste of what I got. I didn’t actually eat a lot from the food trucks. I started the day at the Baby Cakes truck to take the edge off My hunger. I then had three varieties of delicous cupcakes from the friendly guy at the Chicago Cupcake truck. The strawberry shortcake cupcake was quite something, a crumbly bottom supporting a heavy cake, stuffed with what was almost like candied strawberries, but it wasn’t too sweet and topped with a nice creamy strawberry frosting. I’m usually a fan of light fluffy cupcakes, but the layers of texture and flavor offered in this one were just lovely. There were also some tricksters, burning rubber and maneuvering about on their motorcycles. I was mostly impressed by the guy with a prosthetic leg, He wasn’t the weakest of the handful of riders there either. There was a couple doing some pretty rad stunts too, some of which were done at high speeds.